Roman Shades offer a wide choice of quality fabrics in both solids and textures ranging from transparent opacities to room darkening. Our Roman shades are suited for the Home or Office with a combination of simplicity, sophistication, versatility and value. Roman shades have a soft elegant touch or a central grand illustration. The fold by fold finish of the roman shades offer sunlight, heat and glare management and a beautiful layered effect, which opens a room when the shades are sitting high. 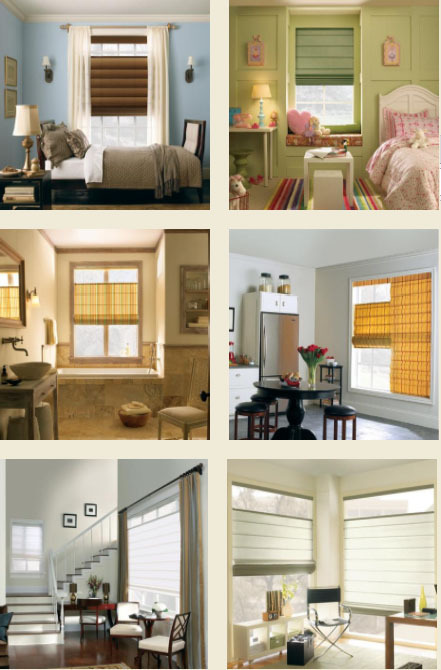 Roman shades come in a variety of colours and fabrics, including heavy duty or soft shades. They can also be installed on various configurations, including motorised via a remote control or manual management.